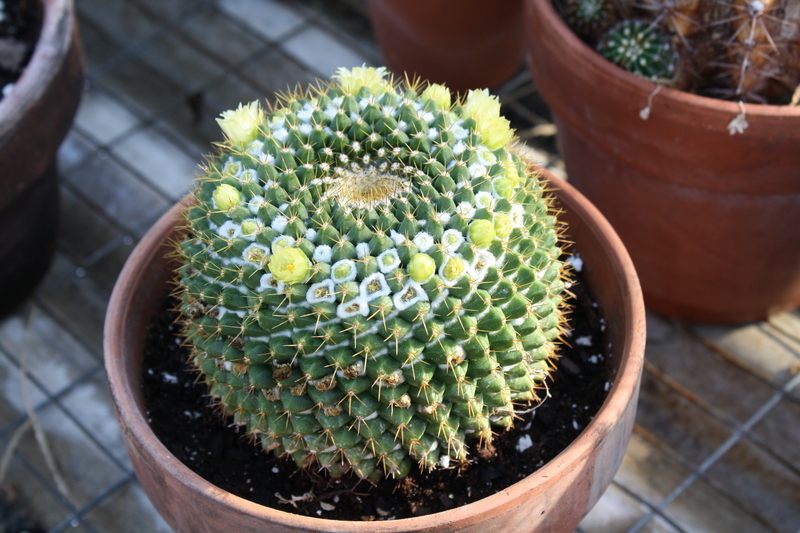 Mammillaria species (Cactus family) in the Conservatory. 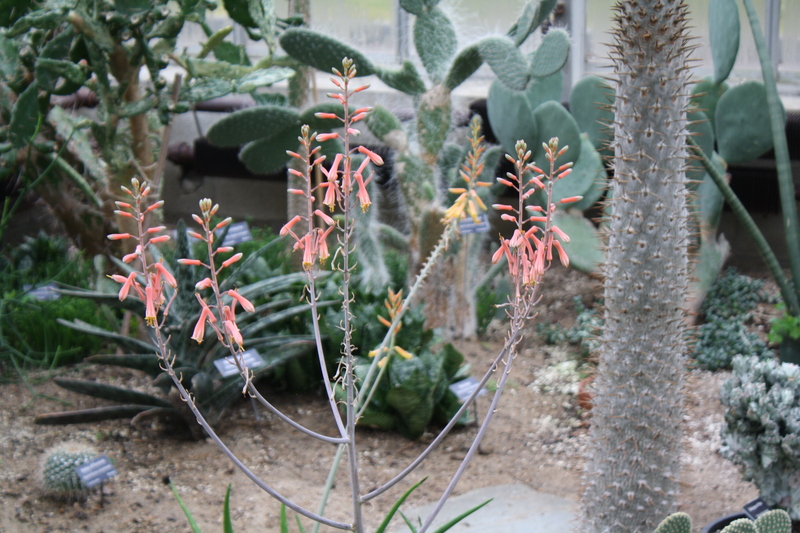 The Cactus and Succulent collection at the Horridge Conservatory contains a wide variety of beautiful plants. You may or may not know that a Cactus is a certain family of plants –the Cactaceae. All Cactus are succulents, but not all succulents are Cacti! A succulent is a broad category of plants which have thickened and fleshy leaves and stems, usually to retain water in arid climates and soils. 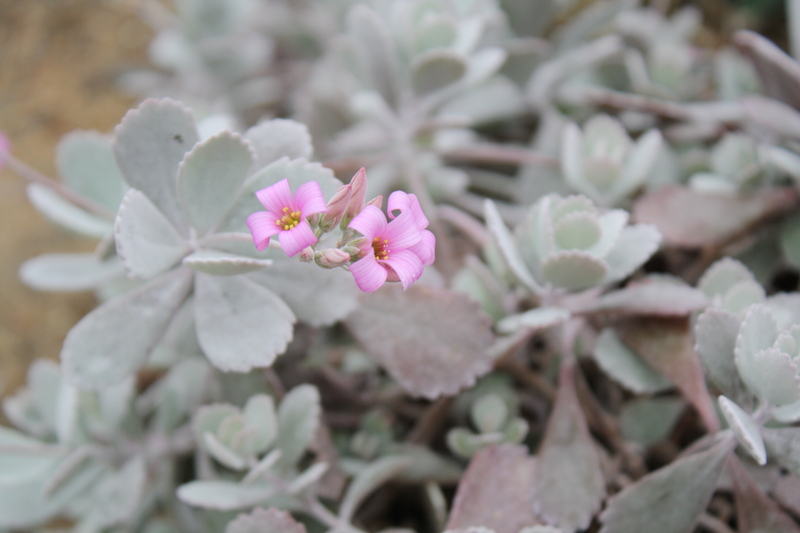 Most succulents come from dry regions of the tropics and sub tropics such as steppes, semi-desert, and desert. High temperatures and low rainfall force plants to collect and store water to survive long dry periods. Many succulents (including Cacti) are grown as ornamentals or houseplants because of their unusual and interesting appearance. 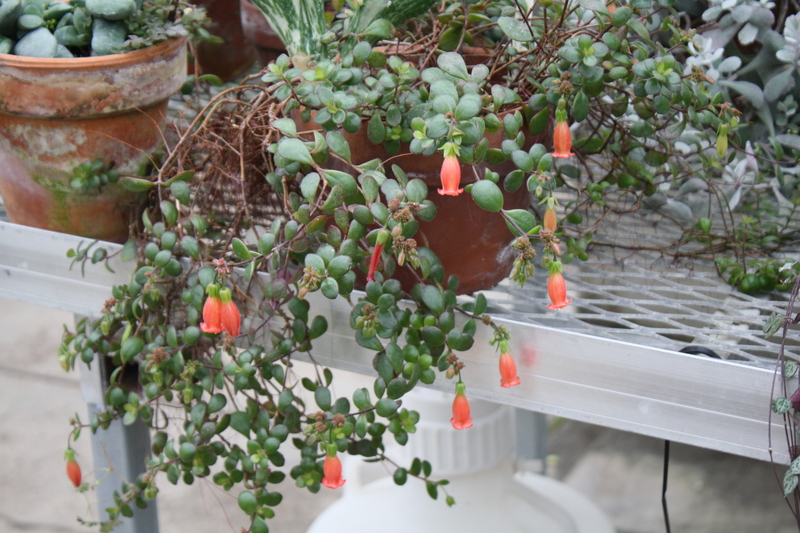 Familiar succulents include Jade plants (Crassula ), Aloe plants (Aloe ), or Mother-of-Millions (Kalanchoe). Cacti are for the most part native to the Americas, ranging from Patagonia in the South to parts of western Canada in the north. Most cacti live in very dry habitats subject to at least some drought. Cacti show many adaptations to conserve water. Most species of cacti have lost true leaves, retaining only spines, which are highly modified leaves. As well as defending against herbivores, spines help prevent water loss by reducing evaporation. Cactus spines are produced from specialized structures called areoles, which are an identifying feature of cacti. 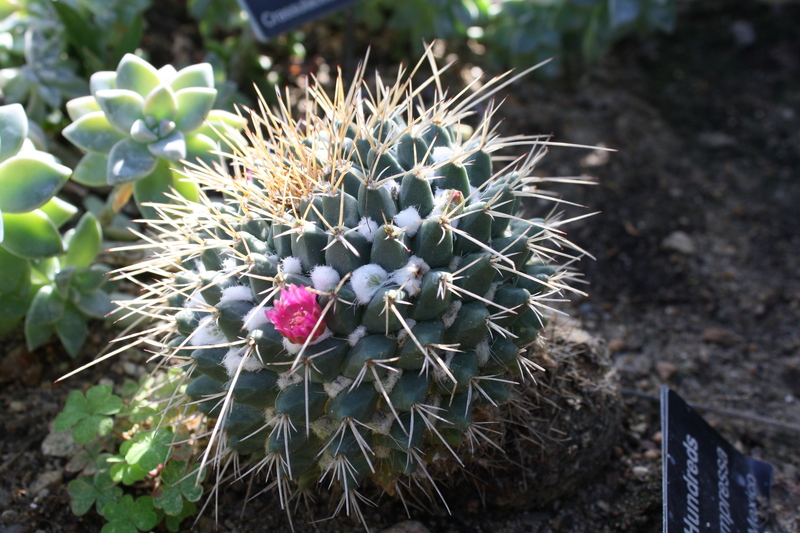 Other types of succulents, such as Euphorbias, have spines but do not have areoles. 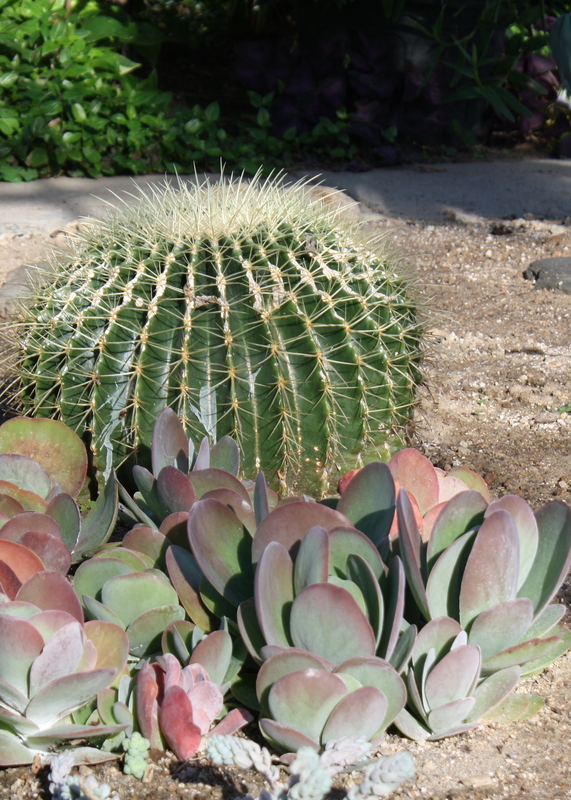 Golden Barrel Cactus, Echinocactus grusonii, with Paddle Plant, Kalanchoe thyrsiflora. The lengthening days of late winter and early spring is when many of our cactus and succulents bloom, just as in the desert. I love to see them at this grey time of year. 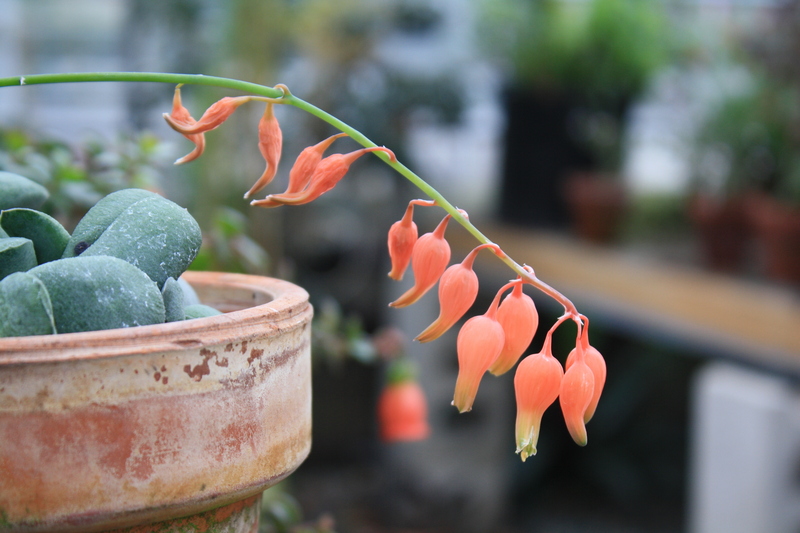 Some, such as the Gasteria and Aloe, come in a range of sunset colors (like the Echeveria from this post.) Some are bright pink or purple and others are pure white. If a trip to the Arizona or New Mexico isn’t possible, come visit our little desert at the Horridge Conservatory. Two Aloe plants in bloom. 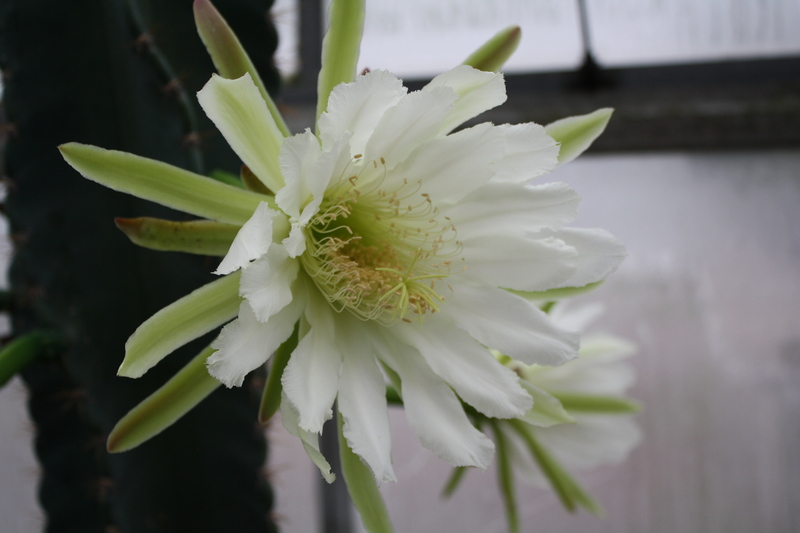 This entry was posted in Conservatory, Greenhouse, Photography, Plants, Uncategorized and tagged cactus, desert plants, flowers, succulents on January 30, 2013 by uribg. 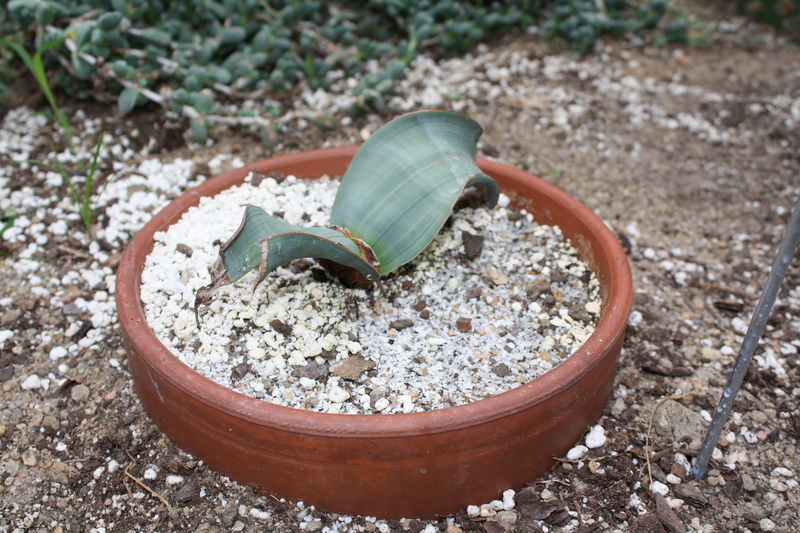 The Horridge Conservatory is fortunate to have a specimen of a weird and wonderful plant: Welwitschia. (Thank you, Arielle!) 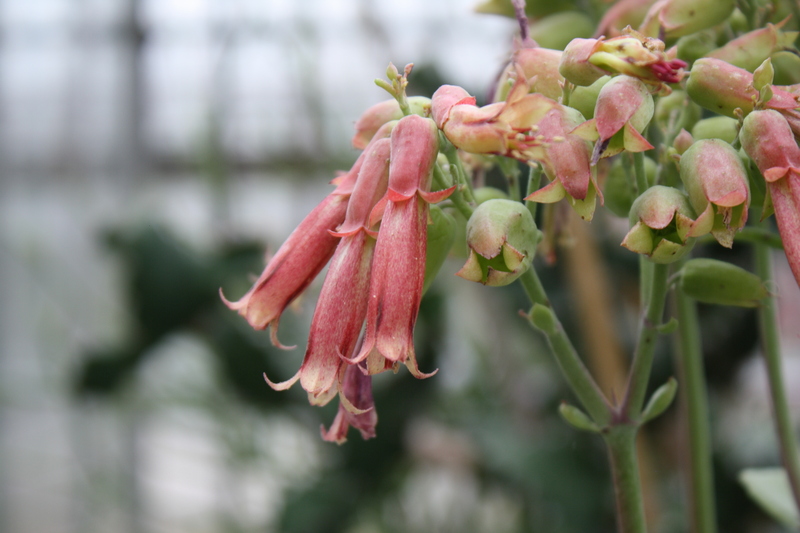 Mirabilis is the only species in the genus and Welwitschia is the only genus in the family Welwitschiaceae. It is native to the Namib Desert on the coast of the Atlantic Ocean in Namibia and Angola. What makes it so unusual? An adult Welwitschia consists of only two leaves, a stem base and roots. Its two permanent leaves are the original leaves from when the plant was a seedling– they continue to grow and are never shed. Those two leaves grow from a basal meristem in the plant’s terminal groove. They eventually grow to a length of 2 – 4 meters and become split, frayed and shredded into several well-separated strap-shaped sections which lie on the ground. This gives the appearance in older plants of having many leaves, but there really are only two. The stem is low, woody, and obconical in shape. It grows to about 500 mm in height. There are separate male and female plants. Welwitschia produces cones but is not wind pollinated as most cone-bearing plants are. 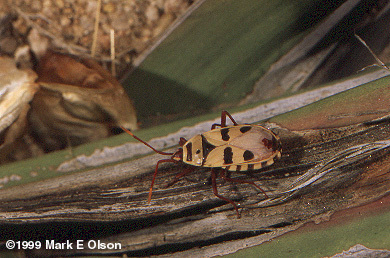 It is pollinated by flies, true bugs, and most commonly, the Welwitschia bug, Odontopus sexpunctatus. 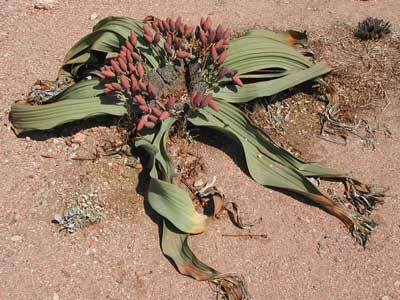 Welwitschia is ecologically highly specialized, and is adapted to grow under arid conditions receiving regular fog. This regular, dense fog is formed when the cold north-flowing Benguela Current meets the hot air coming off the Namib Desert. The fog develops during the night and usually subsides by about 10 a.m The broad, downward drooping leaves collect condensation, which drips down onto the plant’s own root zone. It also has numerous stomata on both leaf surfaces and fog-water is taken up directly through these stomata. The fog has been estimated to contribute 50 mm in annual rainfall! A long taproot reaches deep for underground water in this part of the world which often receives less than100 mm of rain a year. Welwitschia mirabilis in the Namib Desert. 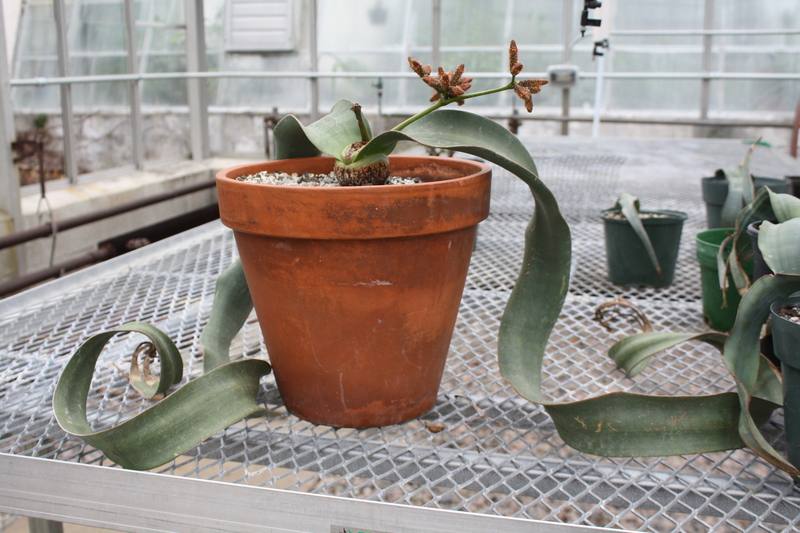 It is interesting that it is possible, and not even terribly difficult, to grow Welwitschia as a house plant. A few Botanical Gardens (but not URI) offer seed for sale on line. The greatest danger to the germinating seeds is fungal infection. A very sandy soil mix helps reduce this risk. There is a great article on germinating and growing Welwitschia at home on the Planzafrica website, as well as information about the discovery of the plant by Friedrich Welwitsch. 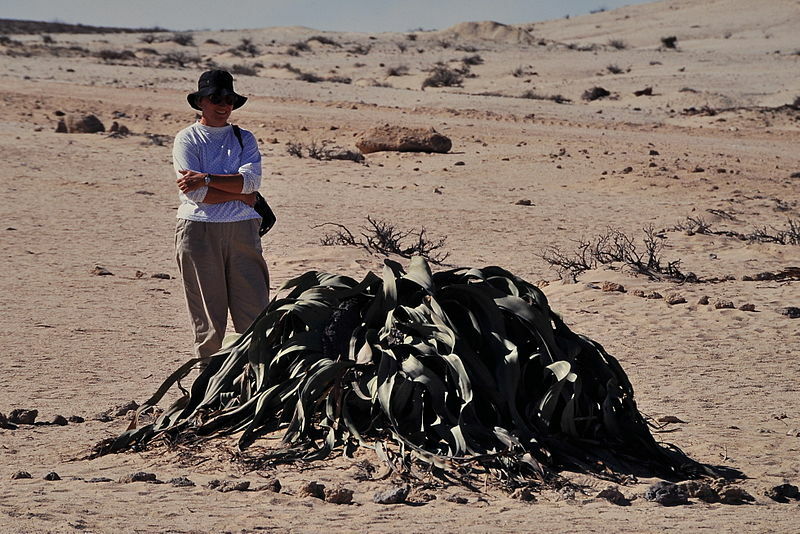 Welwitschia mirabilis is thought to live 1,000 years or more! Young Welwitschia mirabilis plant in the desert area of the Horridge Conservatory. This entry was posted in Botanical Gardens, Conservatory, Greenhouse, Plants, Uncategorized and tagged desert plants, insects, leaves, unusual plants, welwitschia on November 27, 2012 by uribg.